Ideal bonds where greater tolerances need to be bridged. Very short processing time and mechanically processable after curing. 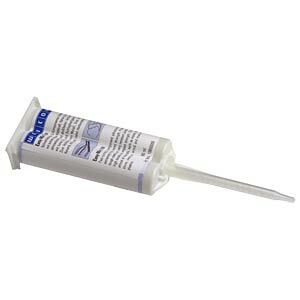 Epoxy adhesives are cold-curing, solvent-free 2-component systems with extremely high bonding strength. They cure to produce a residual elastic bond with high tensile and impact strength. 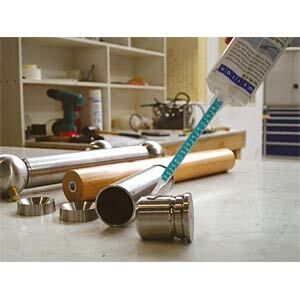 The ideal adhesive for construction, assembly and repairs. For bonding almost all materials such as metal, glass, stone, ceramics, wood and many hard plastics. 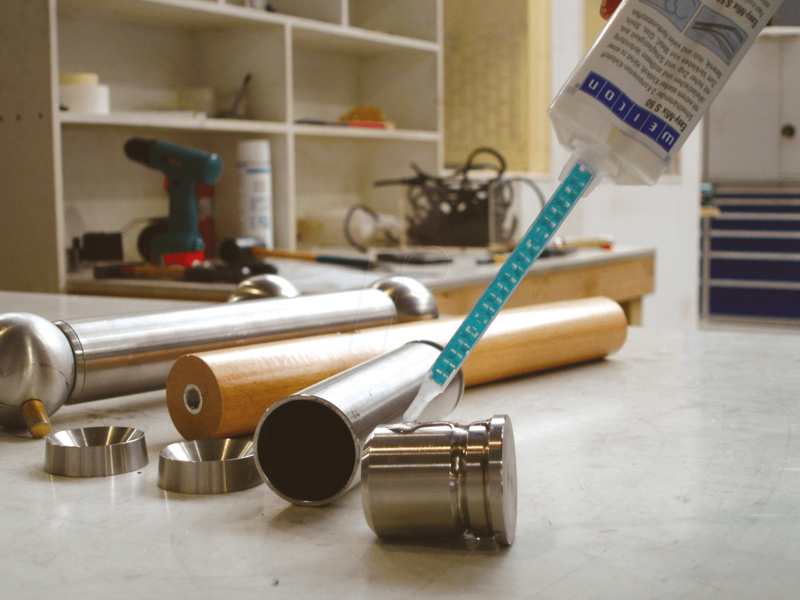 The cured adhesives do not shrink and are resistant to chemicals. Epoxy resins have a high allergenic potency, i.e. they can quickly cause skin allergies. Please note the information on the safety data sheets when handling and wear suitable chemical protective gloves. Under data sheet/operating instructions you will find a guideline document on handling epoxy resin from the professional association of the construction industry. H411Toxic to aquatic life with long lasting effects. P264Wash … thoroughly after handling. P272Contaminated work clothing should not be allowed out of the workplace. P273Avoid release to the environment.